Species of Candida frequently cause life-threatening infections in neonates, transplant and intensive care unit (ICU) patients, and others with compromised host defenses. The successful management of systemic candidiasis depends upon early, rapid diagnosis. Blood cultures are the standard diagnostic method, but identification requires days and less than half of the patients are positive. These limitations may be eliminated by using real-time polymerase chain reaction (PCR) to detect Candida DNA in the blood specimens of patients at risk. Here, we optimized a PCR protocol to detect 5–10 yeasts in low volumes of simulated and clinical specimens. We also used a mouse model of systemic candidiasis and determined that candidemia is optimally detectable during the first few days after infection. However, PCR tests are often costly, labor-intensive, and inconvenient for routine use. To address these obstacles, we evaluated the innovative microfluidic real-time PCR platform (Advanced Liquid Logic, Inc.), which has the potential for full automation and rapid turnaround. 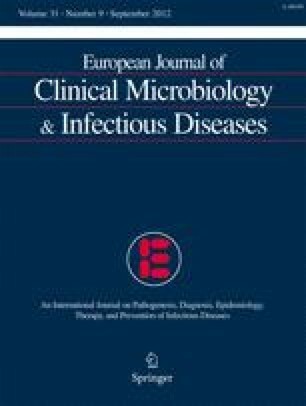 Eleven and nine of 16 specimens from individual patients with culture-proven candidemia tested positive for C. albicans DNA by conventional and microfluidic real-time PCR, respectively, for a combined sensitivity of 94%. The microfluidic platform offers a significant technical advance in the detection of microbial DNA in clinical specimens. The online version of this article (doi: 10.1007/s10096-012-1561-6) contains supplementary material, which is available to authorized users. We thank Randy Jirtle and David Skaar for the use of their ABI 7900 real-time thermocycler and Alejandro Escalante-Flores for technical assistance. This project was supported by USA Public Health Service grants from the National Institutes of Health, U01 AI 066590 and K24 AI 072522 (B.D.A.). Co-authors Benton, Poore, Rouse, Boles, V. K. Pamula, Eckhardt, and Pollack are employed by Advanced Liquid Logic, Inc. Co-authors Smith, Johnson, Alexander, Benjamin, Perfect, and Mitchell declare no conflict of interest. Co-author Schell has a small equity ownership in Advanced Liquid Logic, Inc.